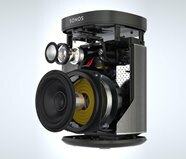 In keeping with my recent run of posts relating to the Sonos multiroom audio system I thought I would tackle the decisions made by many digital music enthusiasts. Namely, should I build a music library and if so, how and where should I store it? In today’s world of digital content, deciding what to do with it all can become a bit of a nightmare, especially when the digital content is media. Collections of both music and video can very quickly become very large and difficult to manage, to top it off, access to the data must be easy and fast. Options if you decide to build and store a music library. With this option you could store the data on a computer which is connected to the local network, we don’t recommend this option as it is very much reliant upon your computer being switched on and available over the network. A much more reliable option would be to purchase a simple NAS (network attached storage) drive which connects directly to your network (via an ethernet port on your router). These are available fairly inexpensively from PC accessories stores with sizes ranging from about 1 to 4 terra bytes. Google provide free online storage of up to (at the time of writing) 20,000 songs. The music is available via the internet 24/7 without any storage device required in your home. Sonos has full support for Google Play Music and browsing your online library is quick, simple and intuitive. When creating your own music library a point to note is that Sonos does not support every file format available. For example it will play MP3 and M4A files without any issue, however a format quite often used by iTunes, M4P, is not supported. We have had recent experience where a customer with their own iTunes library was missing about 1/3 of the tracks. After investigation, it turned out that these tracks were in M4P format and hence would not play. Assuming you have a reliable and fast broadband connection, there are a number of streaming services available. For a small monthly charge, these services allow immediate playing of a huge collection of music. Examples of these services are Napster and Spotify. These services can be thought of as personal radio stations. For a small monthly fee you can start a radio station playing based on an artist or genre. The radio station will play track after track of music and provides you with the option of rating a song up or down. Over time, such a service will begin to ‘learn’ your listening tastes and tailor future radio stations to your preferences. Examples of these services are Last FM and Rdio. In our experience, personal music libraries can become quite messy and therefore a managed streaming service is often the best route to take. The latest addition to Sonos is Google Play Music and we believe that this is a good combination of both a Subscription service and a Subscription Radio Service. I have written a post on our experiences which can be found by clicking here. Of course with Sonos there is inbuilt support for a wide variety of different services leaving you to decide which will best suit your needs.